I wish I had a lot more fingers. Yes I realise this is a strange wish, and I would probably be known as 'the abnormal girl with so many fingers, she wouldn't even know where to begin if she wanted to count them,' but there are a lot of benefits too. For a start, I would have a wider variety to choose from, when it came to picking my nose, and secondly, think of the amount of rings I could wear! As it is, I can only wear 4, and one of them is on my thumb, so technically I don't even think that counts. 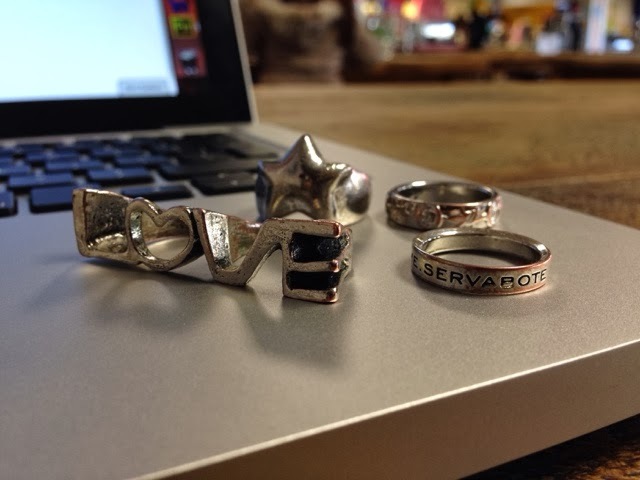 If I were to have more fingers, I could wear more rings, and then none of them would feel left out, because I could wear them all at the same time! The only downside that I can think of is that I wouldn't be able to buy gloves, and I would go through nail polish a lot quicker than what I do now, but that problem is easily solved. I'll knit my own million fingered gloves, and I don't even wear nail polish, so I don't even know why I mentioned that! I bite my nails to often to make them look pretty. Obviously this is all hypothetical, and I don't actually want more fingers to start sprouting out of my hands, but I fear that it might be the only solution to my predicament.